The man with the whistle on Tuesday night when the Millers travel to Hull is Scott Duncan from Northumberland. Scott was last in charge of the Millers at the end of December at Ashton Gate which Bristol City won with an eighty-sixth minute goal after Scott had sent off Millers players Billy Jones and Richie Towell. He was also in the middle at the beginning of September when Rotherham travelled to the DW Stadium which saw Wigan Athletic win the game one-nil with a second-half goal from James Vaughan. Before that Scott was in the middle for our League One Play-Off semi-final at home to Scunthorpe in May 2018. The Millers won two-nil with goals from Richard Wood and Will Vaulks while the Iron had Rory McArdle sent off thirteen minutes from the end of the game after getting his second yellow card. 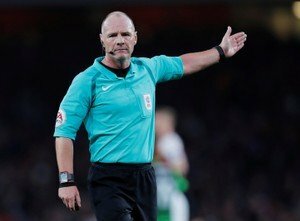 Scott has been in the middle for twenty-three games this season showing eighty-one yellow cards and eight red cards. The men with the flags will be Philip Dermott and Akil Howson while the Fourth Official will be Darren England.